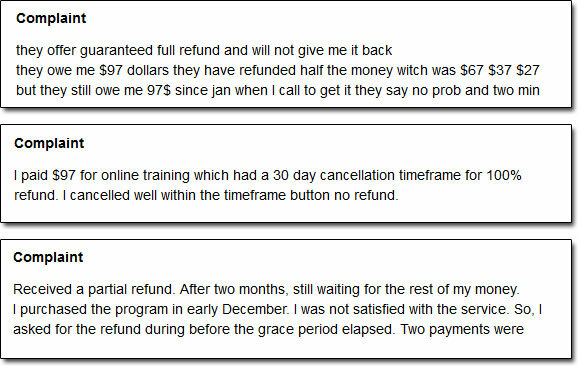 But other than hyping up the opportunity of making money it doesn’t really give a great deal away as to what’s involved & instead in order to find out you’re required to hand over $97 of your hard earned cash… So what’s the deal, is it really legit or is the Ecom Cash Code a scam that’ll just end up robbing you instead? What Exactly Is The Ecom Cash Code System? Well the website promoting the Ecom Cash Code system claims that the whole thing will provide you with a way to “legally tap into the purchases from customers all over the world” through sites like Amazon and pocket some cash for yourself as a result. And regardless as to whether Mr Teo Vee says that’s legal or not, I can assure that “tapping into purchases” is definitely not legal! You see in reality what you’re getting is not a system or method for “tapping into purchases”, the real product behind the whole thing is something called My Ecom Club which is a training program that shows people how to sell stuff on sites like Amazon & Shopify using a method called dropshipping. Basically he’s just creating a ton of different sites all with different spins & spiel to try & trick people into purchasing his extremely expensive ecommerce training program named My Ecom Club. It’s not an “illegal” tactic to create such doorway sites, but if you browse through them you’ll see that they’re basically all full of lies because each one tells a different story of how you’ll be making money (even though they’re all promoting the same program!). How Does The Ecom Cash Code Work? 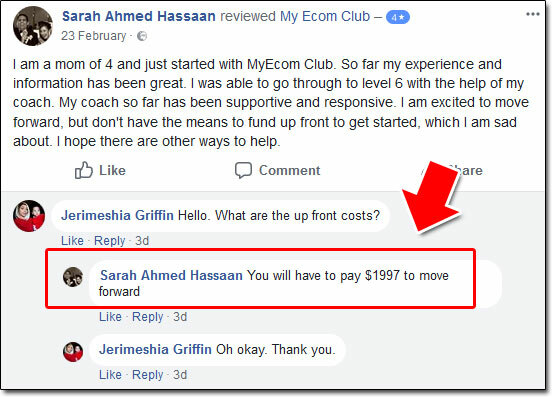 And whilst there are some ecommerce training programs (like the Amazing Selling Machine) which are potentially worth such a high price-tag, in my opinion the My Ecom Club is NOT a program worth anywhere near that amount. Ultimately the reason you were looking into the Ecom Cash Code program in the first place was because you were interested in the idea of making money online – so can you make ANY money with the My Ecom Club? Well the answer is technically yes, because ultimately the whole thing is based around a legitimate concept known as dropshipping which is where you list products for sale online on sites such as Amazon & Shopify & then have them shipped directly from the supplier to the customer when (or if) you happen to make a sale. The method itself can seem pretty good because you don’t need to hold any stock & you don’t need to purchase anything until you make sales – however there are some major drawbacks with the dropshipping method. So do I recommend dropshipping? Not really – and I certainly don’t recommend Teo Vee’s program because I do not think the training he provides will truly help you to find success, and it in my opinion it is also way overpriced. The much better alternative is something called affiliate marketing, which involves a LOT less risk, a LOT less work, and is something that you can actually get started with for free over at Wealthy Affiliate. So why pay thousands for a course on the risky method of dropshipping when you can start the proven method of affiliate marketing for nothing? 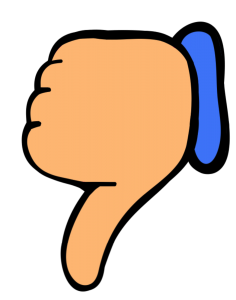 My Verdict – Is The Ecom Cash Code a Scam? Well like I mentioned previously it’s based around a legitimate method known as dropshipping so some people might argue that it’s not a scam, however in my opinion the sales pitch is extremely misleading & so therefore I am going to say that it IS a scam. I mean yes sure, Teo Vee has put together some legitimate training on starting an ecommerce business through dropshipping, but it’s extremely expensive, it’s not transparent, it’s hyped up & as far as I’m concerned it’s more geared towards making Teo money than it is towards helping you see success. So for those reasons I am not going to be recommending the Ecom Cash Code or the My Ecom Club programs to you because I just think they’ll see you spending more money than you ever actually manage to make. And on top of that there are also several other ways you can make good money online too. Is American Income Life a Pyramid Scheme? My Honest Review Looks Into It! Is The Semantic Investment App a Scam? My Honest Review Exposes It! Next Generation Affiliate V2 Review – Latest Scam or Is Tony Marriott’s Program Legit?